” A previously undisclosed report by staffers at the Federal Trade Commission reveals new details about how Google Inc. manipulated search results to favor its own services over rivals’, even when they weren’t most relevant for users. In a lengthy investigation, staffers in the FTC’s bureau of competition found evidence that Google boosted its own services for shopping, travel and local businesses by altering its ranking criteria and “scraping” content from other sites. It also deliberately demoted rivals. ” At this point in George W. Bush’s presidency, Hollywood uncorked a barrel of anti-Iraq-war movies, all of them in their varying styles trashing the American military or intelligence agencies as vicious murderers, rapists, and all-around freedom-tramplers. Most were duds because the public wanted nothing to do with those messages. But oh, did the critics love ’em. In Obama’s “fourth quarter,” as he calls it, Clint Eastwood has released his movie “American Sniper,” starring Bradley Cooper as Chris Kyle, a NAVY Seal who survived four tours of duty in Iraq and was credited with an astonishing 160 confirmed kills. The story ended horribly in 2013, four years after he left the Navy, when he and a friend were shot down at a Texas shooting range. Oh, how the critics hate it. 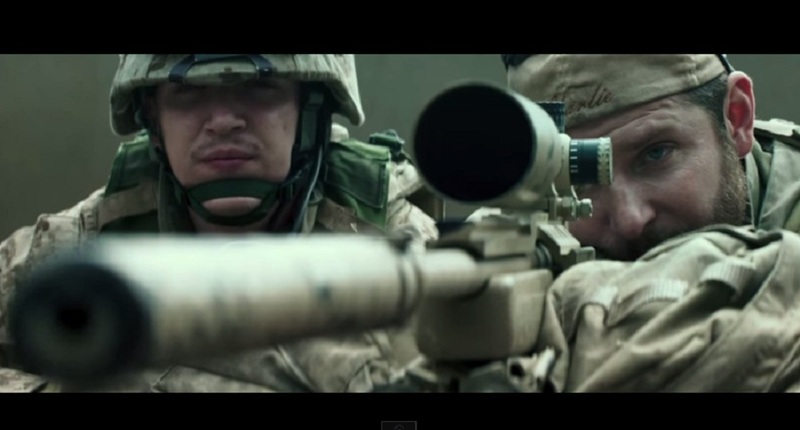 Liberal film critics today don’t like the pairing of “military” and “hero” in the same breath. In their forever-Vietnam mentality, “duty, honor, country” are just fancy words for being tools of a ravenous military-industrial complex that lies its way into war for power and profit. ” The much-admired Supreme Court Justice Hugo Black may be rolling in his grave at the prospect of a merger between 21st Century Fox and Time Warner Inc., which would reduce control of the major Hollywood studios to five owners, from six, and major television producers to four, from five. ” The New York Times bestseller list hasn’t waited a millisecond to put Hillary Clinton‘s book atop its influential chart after just a week of sales, but has totally ignored another top-10 hardcover from noted conservative and critic of President Obama, Dinesh D’Souza. His new book, on sale for three weeks, isn’t just absent from the top 10 lists already set for the next two Sundays, but totally missing from the list of the nation’s top 25 nonfiction hardcovers despite having sales higher than 13 on the latest Times chart. According to sales reports provided to Secrets, D’Souza’s new book America: Imagine a World Without Her, sold 4,915 in the first week and 5,592 in the second week. Had it been included on the upcoming June 22 Times hardcover nonfiction list, it would have ranked No. 8, and then No. 11 on the June 29 list that puts Clinton’s sales at 85,721. The lists are widely circulated in the publishing industry before they go public. USA Today Gives Moms Demand Action For Gun Sense In America The Microphone. Literally. ” USA Today is as anti-gun as they come. To be fair, the McPaper sometimes gives the pro-gun side column equal time in dueling editorials, including me. But most of the time USA Today has no interest in being fair. This video piece and printed article on Moms Demand Action for Gun Sense in America’s visit to Capitol Hill highlights the editors’ willingness to bias their reports for the bloody shirt wavers seeking civilian disarmament – regardless of the fact that the empress has no clothes. For example . . . The Truth About Guns has video and more on this latest anti-gun propaganda piece from USA Today . 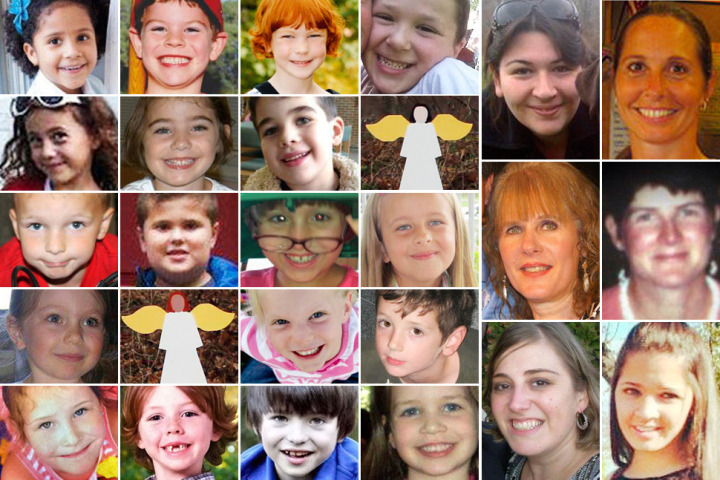 How Should We Classify the Sandy Hook Killings? The categorization of “mass shootings” , “mass murders” , “workplace violence” or whatever other clever nomenclature that happens to be in vogue are decided upon by the media that reports on the stories and we would do well to remember that the present day media , the so-called mainstream anyway , are anything but dispassionate observers and reporters of fact . 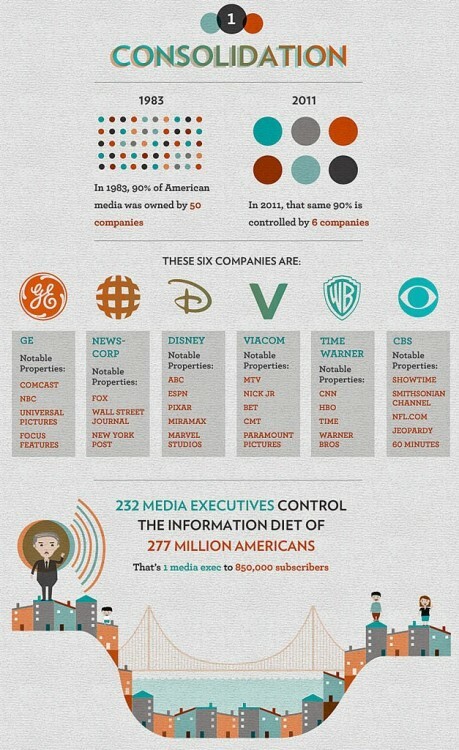 As with most any news items today , how events are portrayed in the media is really more an issue of what particular ax the reporting organization has to grind than it is a fair illustration of the facts . “Our house is on fire,” said Pelley. The video of Pelley’s speech is courtesy of nowthisnews.com. CBS Bans SodaStream Ad -Where’s The Outrage? ” CBS banned SodaStream’s Super Bowl spot because, apparently, it was too much of a direct hit to two of its biggest sponsors, Coke and Pepsi. I am shocked that CBS would ban a spot for being too competitive. But I’m even more shocked that the advertising world isn’t up in arms about it. The media’s job isn’t to judge. SodaStream has a product that could be wildly disruptive to the soda industry, if successful. As in, the “automobile” to the soda industry’s “buggy whip.” If SodaStream takes off, Coke and Pepsi would have a lot to worry about, for sure. But isn’t that what progress is all about? 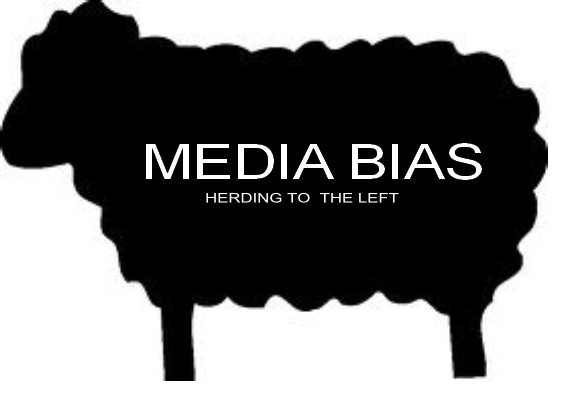 ” The Old Media establishment has done a disservice to an American public heartbroken over the murders at a Connecticut grade school by reporting untrue “facts” over and over again and by using emotionally tinged phrases that do not relay fact but instead push an agenda. Here are just a few of the badly garbled “facts” in this story that the media rushed to “report” before any truth was put to them. Of course, the very first major mix up was the shooter’s name. Lanza is also being said to have been wearing “combat gear.” What does this even mean? Some reporters are calling the killer’s mother an “avid gun collector.” There is no basis for this label. There’s Lot’s More At The Link . Read It All . ” I am more convinced than ever that a shock to the higher-ed system is needed. Read the rest and explore the links … you’ll be appalled . ” 4. The Benghazi Blackout: Right after the September 11 attack in Libya, the networks proclaimed that the events would bolster President Obama — “reminding voters of his power as commander-in-chief,” as NBC’s Peter Alexander stated on the September 14 edition of “Today.” But as a cascade of leaked information erased the portrait of Obama as a heroic commander, the broadcast networks shunted the Benghazi story to the sidelines. 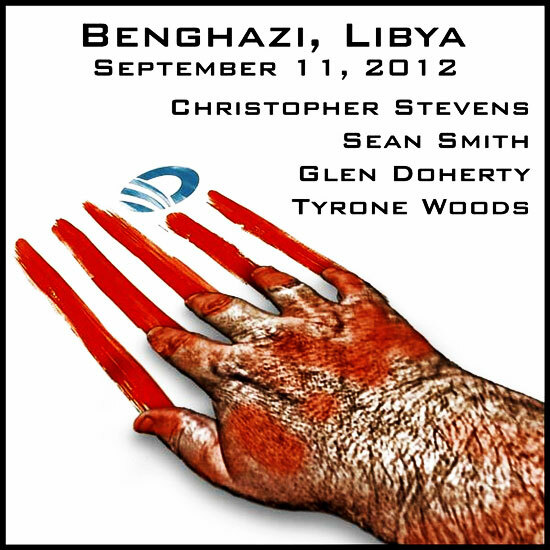 WILL OBAMA’S BENGHAZI COVER-UP SUCCEED? ” The poll finds Romney with a 49% to 48% lead in a survey of 1,382 likely voters. But doesn’t something look wrong? If both Obama and Romney are attracting the same split of their parties voters, what’s the deal with Romney’s 9% lead among Independents? Wouldn’t that account for more that an 1% lead? It would if the results weren’t skewed toward Independents, and away from Republicans. ” “You know, I don’t look at my pension. 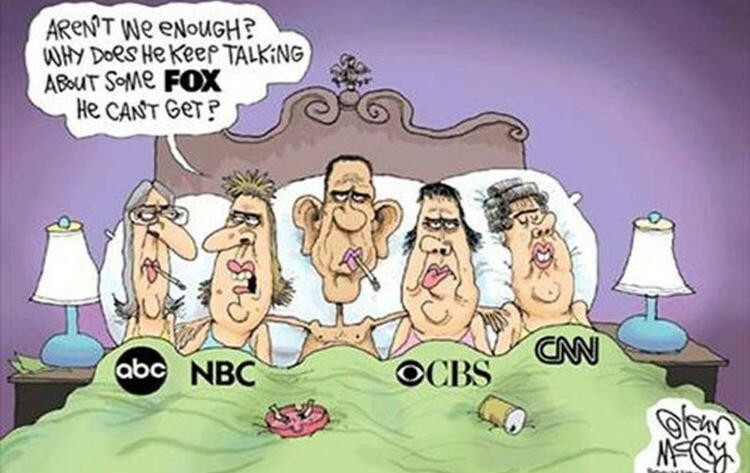 It’s not as big as yours, so it — it doesn’t take as long,” Mr. Obama retorted. His reply prompted laughter in the debate hall where the two men were squaring off — but across the way in the separate room where the press was stationed, a brief round of applause broke out. The man has boasted a 782% rate of return the past 4 years . Who can compete with that ? George Soros ? “In 2007, with polls showing that only 22 percent of the American people trusted newspapers to tell the truth, and newspaper readership plummeting nationwide, the Tampa Bay Times doubled down on journalists’ already high self-confidence by forming the PolitiFact project, which markets itself as providing the final word on truth in politics. “Polls polls polls polls polls. In the weeks leading up to a presidential election, that’s all anyone talks about. Polls subsume all other news: Every soundbite, disaster, current event, policy, gaffe, decision and incident are merely vectors in pollspace, data which may or may not nudge the candidates’ numbers up or down a notch.